← Tanda Putera: If you don’t show it, we’ll REVOKE YOUR LICENCE! To be hanged by the neck until dead! Former police commandos Chief Inspector Azilah Hadri, 39, and Corporal Sirul Azhar Umar, 43. IS THIS TRUE? Is it true that Australia has refused to extradite Corporal Sirul Azhar Umar? The Sydney Morning Herald said yesterday Australia would face a diplomatic dilemma as Australian Prime Minister Tony Abbott is against the death penalty. KUALA LUMPUR, Jan 15 ― Australia has refused Malaysia’s request to extradite Sirul Azhar Umar who was sentenced to death for killing Mongolian model Altantuya Shaariibuu. Australian paper Sydney Morning Herald reported today an unnamed Australian Attorney-General’s Department spokesman as saying that Australia’s extradition legislation prohibited someone from being sent back to another country for an offence punishable by death, unless that country pledged not to carry out a death sentence. The daily reported that Malaysian police have requested their Australian counterparts to arrest and extradite Sirul, one of the two former police commandos who are now facing the gallows after the Federal Court overturned Tuesday their acquittal over Altantuya’s murder. The paper said yesterday Australia would face a diplomatic dilemma as Australian Prime Minister Tony Abbott is against the death penalty. “Australia opposes the death penalty. We oppose the death penalty for Australians at home and abroad,” Abbott was quoted saying in reference to Australian Myuran Sukumaran, a drug mule on death row who was denied clemency by Indonesia. According to Sydney Morning Herald, Australia signed an extradition treaty with Malaysia in 2006. KUALA LUMPUR: Kpl Sirul Azhar Umar, one of two former Special Action Unit officers convicted of the murder of Mongolian model Altantuya Shaariibuu in 2006, left for Australia in October last year, police have confirmed. This was confirmed by Kuala Lumpur CID chief Datuk Mohmad Salleh after checking the Malaysian Immigration Department records. “To date, the Malaysian Immigration Department has confirmed that he went abroad, namely Australia. He went there in October last year. “We will liase with the Australian Federal Police if he is there, but if he has left for other destinations, we will liase with Interpol to arrest him. “We will definitely seek the cooperation of the international police,” he said when contacted by Bernama Wednesday. Justice Suriyadi, who read out a summary of the 88-page judgment, pointed out that while the Bukit Aman station diary produced by the defence stated that Sirul was in the police station around 10.18pm on the day in question, the phone logs showed the former corporal was in the Shah Alam area between 10.19pm and 11.16pm. “What was obvious were that none of the calls made by Sirul were detected from Bukit Aman during the material time,” he said. The court ruled the diary was a “non-starter” as an alibi, and amounted to nothing more than a “mere denial”, as the defence failed to call a witness who could authenticate it. You’ve got to catch him before you hang him! PETALING JAYA: Bukit Aman is on the hunt for former police corporal Sirul Azhar Umar, who failed to show up at the Federal Court yesterday to hear the verdict against him for murder. Inspector-General of Police Tan Sri Khalid Abu Bakar said the police would track Sirul down following the arrest warrant issued against him by the court. “We will use our resources in tracking him down. The law will be upheld without fear or favour,” he said yesterday. Kuala Lumpur police chief Senior Deputy Comm Datuk Tajuddin Md Isa said his men would be deployed in the search for Sirul. “We will leave no stone unturned. I trust that my counterparts in other states will do the same,” he said. 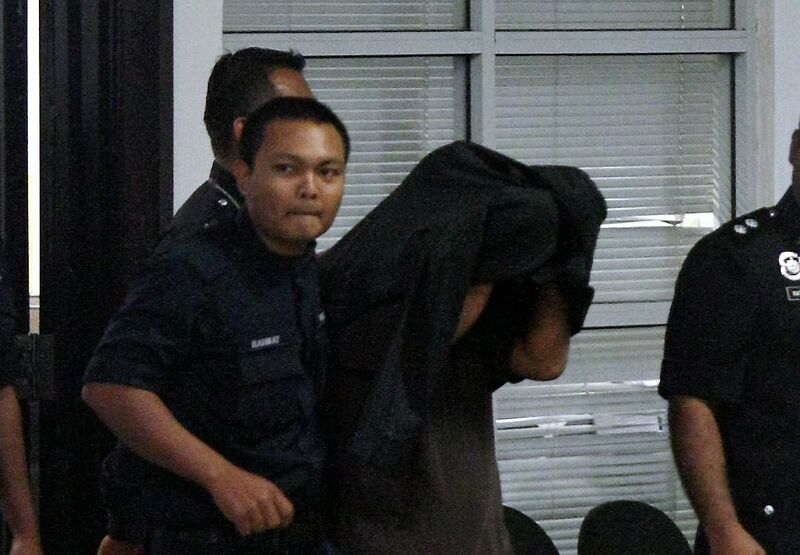 KUALA LUMPUR: Kpl Sirul Azhar Umar, one of two former Special Action Unit (UTK) personnel convicted of the murder of Mongolian model Altantuya Shaariibuu, is believed to be in Australia and reportedly, has no money to return to Malaysia. According to a source, Kpl Sirul, who was not present in court on Tuesday, knew that the Federal Court would be delivering its judgment on the day but did not have enough funds to return home. The source said the former UTK officer had gone abroad two months ago. Murder of Mongolian national Altantuya Shaariibuu: Some things to know about the case. The case of Mongolian national Altantuya Shaariibuu, far from being just a run-of-the-mill murder, was a sensational scandal that shook Malaysia’s government due to its alleged link to official corruption and a high-level cover-up. 2. She was the former girlfriend of Mr Abdul Razak Baginda, a prominent political analyst, head of a well-known defence-related think-tank and speechwriter for Datuk Seri Najib Razak…then Malaysia’s deputy prime minister. 3. On Oct 18, 2006, she was killed and her body blown up with C4 military-grade explosives in 2006 at a forest in Shah Alam, Selangor. 5. …two police commandos, Azilah Hadri and Sirul Azhar Umar, members of an elite unit who were part of Mr Najib’s security detail at the time, were convicted of her murder and sentenced to death by the High Court in 2009. 7. Government prosecutors filed an appeal against their acquittal, and the country’s highest court, the Federal Court, heard the appeal last year. It has now upheld the convictions. 8. Ms Altantuya was involved in the negotiations for the Malaysian government’s US$1.1 billion purchase in 2002 of French Scorpene submarines, with Mr Abdul Razak in charge of the deal. Allegations have been made that officials accepted massive kickbacks in the deal, and Ms Altantuya was silenced over her knowledge of the deal. Where is Sirul Azhar Umar? PUTRAJAYA, Jan 13 ― The Federal Court issued today a warrant of arrest for Sirul Azhar Umar after it convicted him of murdering Mongolian model Altantuya Shaariibuu eight years ago, his lawyer has confirmed. Sirul, one of two former police commandos accused of the murder, failed to show up in the Federal Court this morning when the final verdict was read out by Chief Justice Tun Ariffin Zakaria. Sirul’s lead counsel Kamarul Hisham Kamaruddin told reporters that he had last spoken to his client about a week after the Federal Court’s hearing last June concluded. “After that, we didn’t have any more contact. I have absolutely no idea the whereabouts of my client,” he told reporters here after the apex court reversed the 2013 acquittal of Sirul and another man over Altantuya’s murder. Kamarul said the authorities would now have to serve the warrant of arrest on Sirul and arrest him wherever he is, declining to speculate whether his client was still in the country. He also declined to state whether his client had acted strangely he last time they spoke. PUTRAJAYA, Jan 13 ― A thin sliver of hope still shines for Sirul Azhar Umar who was today sentenced to death by the Federal Court for the 2006 murder of Mongolian model Altantuya Shaariibuu, his lawyer has said. Kamarul Hisham Kamaruddin said the former police commando still has the chance to file for a review of the top court’s decision to convict him, though the lawyer added that any move to seek a review would depend on the full grounds of the Federal Court ruling. “There is a possibility of a review of the decision of the Federal Court but as you know, there is a very limited scope of review of the Federal Court,” he told reporters here after the country’s highest court reversed the 2013 acquittal of Sirul and another man over Altantuya’s murder. Kamarul also confirmed that any bid to review would only be taken based on his client’s instruction, but said it would be “premature” to talk about the next course of action without reading the judges’ grounds of judgment. Sirul Azhar, 43, had skipped out on today’s hearing. An arrest warrant has been issued. PUTRAJAYA, Jan 13 ― The Federal Court reversed today the acquittal of two men over the high-profile 2006 murder of Mongolian model Altantuya Shaariibuu, sending them back to the gallows in the end to the eight-year saga. “The Court of Appeal order is set aside. The order or conviction and mandatory death sentence by High Court are restored,” Tan Sri Suriyadi Halim Omar said in delivering the verdict. Panel defers decision after prosecution and defence end submissions. PUTRAJAYA: The Federal Court here today reserved its judgement in the prosecution’s appeal against the acquittal of two former Special Action Unit (UTK) personnel on a charge of murdering Mongolian woman Altantuya Shaariibuu. Chief Justice Arifin Zakaria, chairing a five-member panel, deferred their decision to a date which would be announced on a later date after the prosecution and defence ended their submissions today. The panel, also comprising Chief Judge of Sabah and Sarawak Richard Malanjum and Federal Court judges Abdul Hamid Embong, Suriyadi Halim Omar and Ahmad Maarop, heard submissions on the appeal for three days from Monday. PUTRAJAYA: Two of the judges on the five-man panel hearing the appeal in Altantuya Shaariibuu murder case have questioned the claim by Kpl Sirul Azhar Umar’s lawyer that he has been framed for the killing. “For what reason and by whom would your client be made a scapegoat?” asked Chief Justice Arifin Zakaria on lawyer Kamarul Hisham Kamaruddin’s theory that the corporal had been framed. On Tuesday, Kamarul had submitted that Kpl Sirul was framed for the murder of the Mongolian, with the police “orchestrating” the discovery of her jewellery in a black jacket found at his house. Yesterday, Justice Suriyadi Halim Omar also asked Kamarul if he had “even an iota of evidence” to back his claim. “For a fact, it was in his jacket and it was in his house where the jewellery was found. Thus, a prima facie case was proven against your client. “In fact, your only evidence is that since police have Kpl Sirul’s house keys, they could have entered his house and planted evidence,” pointed out Justice Suriyadi. Kamarul said it was due to these credibility issues surrounding the jewellery find that the evidence should be disregarded and a prima facie case not be proven. PUTRAJAYA: It was never the prosecution’s case that C4 explosives were used in the murder of Mongolian woman Altantuya Shaariibuu, the Federal Court here heard Tuesday. Deputy Solicitor-General II, Datuk Tun Abdul Majid Tun Hamzah submitted that the prosecution had never said the substances found at the crime scene were C4 explosives. “We never said those explosives were those of C4. But these people from day one, said it was C4. “We do not know how the Court of Appeal can say, it was C4 explosives. We never said C4,” he said at the hearing of the prosecution’s appeal against the acquittal of two former Special Action Unit (UTK) personnel, Chief Inspector Azilah Hadri and Corporal Sirul Azhar Umar over the murder of Altantuya. Tun Majid said the UTK police never used C4 explosives. Speaking to reporters later, Deputy Public Prosecutor Manoj Kurup, who assisted Tun Majid, said the substances found at the crime scene were of PETN and RDX explosives. The prosecutor (Tun Majid) said the Court of Appeal erred on the facts in calling the explosives C4 when a prosecution witness (former Bukit Aman UTK deputy commander DSP Mastor Mohd Ariff) had testified at the trial in the High Court that UTK did not use C4 explosives. He submitted that the Court of Appeal again erred in law and facts when it held that there was no evidence that Azilah had custody and control of explosives any time prior to his arrest without appreciating Mastor’s evidence that Azilah and Sirul Azhar had ample opportunity to possess unused explosives during training sessions. Putrajaya’s appeal against the acquittal of two policemen for the 2006 murder of Mongolian Altantuya Shaariibuu (pic) started today in the Federal Court with government prosecutor Datuk Tun Abdul Majid Tun Hamzah submitting that one of those accused of the murder, chief inspector Azilah Hadri, had failed to produce any witnesses for his alibi. Tun Abdul Majid said that Azilah’s alibi was that at the time of crime, he had gone to Wangsa Maju and later went back to Jalan Duta. He said the Court of Appeal’s decision in acquitting the two accused was wrong as Azilah did not call his witness to support his alibi and therefore, the onus should be on the defence to prove it and not the prosecution. Tun Abdul Majid also said that the High Court had earlier found that the defence by Azilah and corporal Sirul Azhar Umar were mere denials and they had failed to raise any doubt to the prosecution’s case. The prosecutor also said that the discovery of the spent cartridge inside Sirul Azhar’s car and CCTV recordings show the deceased was on the way to Puncak Alam with the accused. He said there was a slipper found inside Sirul’s vehicle that showed a blood smudge and tests had shown it contained Altantuya’s DNA. “Sirul says he was made a scapegoat, but shows little evidence to support this,” Tun Abdul Majid told the five-man Federal Court bench comprising Tun Arifin Zakaria, Tan Sri Richard Malanjum, Tan Sri Abdull Hamid Embong, Tan Sri Suriyadi Halim Omar and Tan Sri Ahmad Maarop. Last Aug 13, the Court of Appeal acquitted Special Action Unit officers chief inspector Azilah Hadri and corporal Sirul Azhar Umar of an earlier conviction for murdering Mongolian translator Altantuya Shaariibuu. 12.05pm: Tun Abdul Majid demonsrates how a particular phone broadcasting station can detect where a person making a call is located. He says there was no tampering of the handphone data on the accused. “There is no concoction of evidence,” he says, adding the phone operator witness had tested the accuracy of this by making a call and verifying the location. 11.30am: Tun Abdul Majid says Azilah had failed to produce any witnesses for his alibi in his case. He adds the High Court had found the defence by the two accused were mere denials and they had failed to raise any doubt to the prosecution’s case. Tun Abdul Majid says the Court of Appeal decision was wrong, as Azilah did not call his witness to support his alibi and therefore, the onus should be on the defence to prove it and not the prosecution. 11.25am: Tun Abdul Majid says the discovery of the spent cartridge inside Sirul Azhar’s car and CCTV recordings show the deceased was on the way to Puncak Alam with the accused. He says there was a slipper found inside Sirul’s vehicle that showed a blood smudge and tests have shown it contains Altantuya’s DNA. “Sirul says he was made a scapegoat, but shows little evidence to support this,” he says. Both accused were at Hotel Malaya on Oct 18, 2006, where Altantuya stayed, he adds. 11.20am: Tun Abdul Majid relates the case background. He says the deceased had a relationship with political analyst and had sought the help of DSP Musa Safri, who was the aide de camp of Najib Abdul Razak at the time. 11.5am: A five member panel led by chief justice Arifin Zakaria is chairing the appeal. The others are chief judge of Sabah and Sarawak Richard Malanjum and Federal Court judges Abdull Hamid Embong, Suriyadi Halim Omar and Ahmad Maarop. Deputy solicitor-general II Tun Abdul Majid Tun Hamzah, is introducing the parties. Azilah is scheduled to be at the Federal Court this Monday for proceeding of an appeal by the prosecution against his acquittal, and also of another accused, Corporal Sirul Azhar Umar, 43, for the murder of the Mongolian woman. After being caught in close proximity with a married woman four days ago, a former police commando who was implicated in the high-profile murder of Mongolian Altantuya Shaariibu (pic), now faces prosecution for allegedly punching a policeman. The 38-year-old former commando allegedly punched the policeman at the police quarters in Sepang minutes after he was caught in close proximity with the policewoman at her quarters on Thursday. He allegedly punched the policeman in the face while he was handcuffed after the policeman had come to help his colleague, who is the woman’s husband, in the arrest. The policeman ended up with a bleeding nose and slight injury on the lips. Sepang police chief Superintendent Mohd Yusoff Awang said the former commando was being investigated under Section 323 of the Penal Code for causing injury without a weapon following a report lodged by the policeman. Mohd Yusoff said during the incident, there was a commotion after the suspect was nabbed in close proximity with the woman. “The injured policeman was a neighbour. He came to help his colleague who found the suspect. There might have been a misunderstanding and the policeman ended up with some facial injuries,” he said. 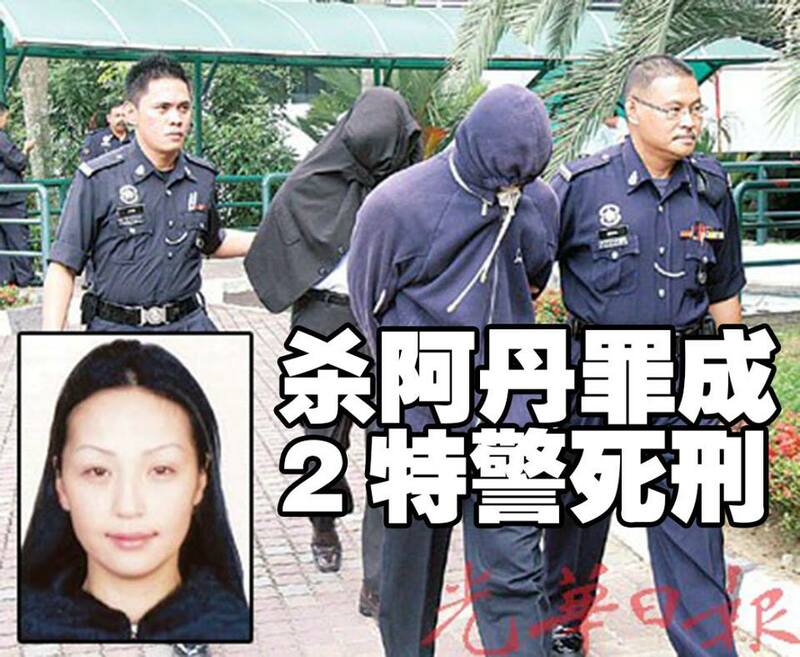 One of the accused in the murder of Mongolian woman, Altantuya Shaariibuu, in 2006, Chief Inspector Azilah Hadri, was today caught for allegedly committing ‘khalwat’ (close proximity) with a policewoman. They were caught by the woman’s husband, who is also a policeman, at about 2am at the police quarters of the Sepang district police contingent. Sepang district police chief Supt Mohd Yusoff Awang, when contacted by Bernama, confirmed the matter. He said Azilah, who is with the Special Action Unit, and the woman, would be referred to the Selangor Islamic Religious Department to be charged for khalwat. The police would also open an investigation papers for disciplinary action against them, he added. Shah Alam High Court judge Md Zaki Yassin on April 2009 had convicted the two of murder but acquitted Najib’s close confidante, political analyst Abdul Razak Baginda (below), of abetting the murder. Today, the Court of Appeal set them free. Will the Attorney-General appeal this decision? The decision to acquit and discharge Chief Inspector Azilah Hadri and Corporal Sirul Azhar Umar in the murder of Mongolian translator Altantuya Shaariibuu will go before the Federal Court. The prosecution had filed its notice of appeal against the Court of Appeal decision last Friday, the same the judgment was delivered. Deputy solicitor-general II Tun Abdul Majid Tun Hamzah confirmed this in a text message to Malaysiakini, saying the notice of appeal had been filed. KUALA LUMPUR – PKR leaders rubbished suggestions that the former bodyguards of Prime Minister Najib Razak had been framed for murder, pointing out that one of them had confessed to the killing – once from the dock during the murder trial and before that in a statement made to the police. “It is ridiculous to make such a suggestion. With all due respect, we would remind that Sirul confessed to the murder. So how can the Appeals Court focus on evidence that it says was contradictory but ignore the confessions. Again, this only strengthens the view that a retrial should have been ordered to trash out the truth rather than acquit the wrongdoers,” MP for Subang Sivarasa Rasiah told Malaysia Chronicle. THE WRITTEN JUDGEMENT IS OUT! The prosecution in the Altantuya Shaariibuu murder case knew that its case had holes but was hoping for the Court of Appeal to invoke a special provision to uphold the convictions of former police commandos Azilah Hadri and Sirul Azhar Umar. Instead, the Court of Appeal’s three-man bench found that the two should have been acquitted at the trial stage. The judges said the prosecution was aware that the trial judge had failed to thoroughly analyse the evidence in the trial. The prosecution had wanted the Court of Appeal to correct the defects to sustain the conviction but the judges were not convinced. udge Datuk Tengku Maimun Tuan Mat, who wrote the grounds, said the prosecution had conceded that there were various non-directions by the trial judge, Mohd Zaki Md Yassin, and urged the three-man bench to use a provision in the Court of Judicature Act 1964 to cure the defects. In exceptional cases, she said, an appellate court could uphold a conviction despite the misdirection. “However, looking at the whole evidence and circumstances of this case, we are of the view that this is not a fit and proper case for us to invoke the proviso,” she said. Tengku Maimun said the circumstances relied upon by the prosecution had not been fully and cogently established and the chain of evidence was not complete. “We cannot say if a reasonable tribunal properly directed, would have convicted the appellants (Azilah Hadri and Sirul Azhar Umar) on available evidence. “The court below had ignored and overlooked salient facts and evidence favourable to the appellants which resulted in serious and substantial miscarriage of justice to the appellants,” she said. She said the cumulative effect of these non-directions rendered the convictions of the appellants unsafe. Tengku Maimun also said that the prosecution’s case relied on circumstantial evidence. The failure of the prosection to call Deputy Superintendent Musa Safri and the failure of the trial judge to consider the notice of alibi were among the main reasons for the acquittal of two former policemen in the murder of Mongolian Altantuya Shaariibuu (pic). In the 47-page written judgment released this morning, the three-man Court of Appeal bench ruled the failure to call Musa proved fatal to the prosecution’s case as he could have unravelled the narrative of the prosection’s case. In the written judgment released today, Court of Appeal judge Tengku Maimum Tuan Mat described why it was unsafe to accept the evidence from the police officers who went to Sirul Azhar’s Kota Damansara home. 4 Was AG following a pre-written script from those who wanted Altantuya dead? KUALA LUMPUR – The shocking outcome of the Altantuya murder appeal in the Court of Appeal has the effect of bringing further and total disrepute to the Malaysian criminal justice system. Keadilan has consistently maintained that the Altantuya High Court trial of Razak Baginda, Chief Inspector Azilah Hadri and Corporal Sirul Azhar Umar had always been a manipulated process and done according to a prescribed script. When the script was not followed at certain points in the initial stages, we saw the fallout. The most senior prosecutors in the Prosecution Division of the AG’s Chambers such as Dato Sallehudin and Dato Yusuf Zainal Abiden were removed from the team when apparently they refused to play ball with a script that would result in the certain acquittal of Razak Baginda. Sallehudin then resigned to go into private practice. We also saw the trial moved to be heard before YA Zaki Yassin after YA N Segara refused bail to Razak on the basis of facts stated in Razak’s own affidavit. The movement was of course disguised in a reshuffle of cases in the Shah Alam High Court. There were still occasional out of script moments during the trial when a witness Burma Oyunchimeg @ Amy tried to tell the Court about the photograph shown to her by Altantuya showing Razak, Najib and her in a restaurant in Paris and was stopped by objections from the defence, prosecution and the court. The rest of the trial mostly played out according to the written script including the acquittal of Razak Baginda. Harakahdaily spoke to two criminal lawyers, each of whom gives his take on the acquittal of the duo the public has come to know as Altantuya’s killers. Lawyer A: I have said all along. This is a staged case. Lawyer B: Yeah. Not even the judge is interested to establish mens rea. Lawyer B: Working of the mind or the intention behind the murder. Lawyer A: They are just interested in actus rea. Lawyer A: Actus rea is the act itself or the act of murdering someone. Lawyer B: The main discontentment on the trial was on the failure of the Attorney General to call a material witness like Musa Safri. As such, they failed to establish the mens rea. Lawyer A: Yes. How could two secret army personnel woke up one morning and decided to kill one beautiful Mongolian lady, who has no relationship whatsoever with them. Lawyer B: Had Musa Safri been called, he could have made a statement under oath on whether he instructed them or not. Or if he received order from a higher authority. FINGER POINTING BY LAWYERS, DENIAL BY ATTORNEY-GENERAL! The Attorney-General’s Chambers should explain to Malaysians its conduct in the Altantuya Shaariibuu murder trial which saw all three accused being acquitted, said criminal lawyers. They pointed out that besides the taxpayers’ money used on this high-profile case, and the failure to secure convictions, this case also put the administration of justice in a negative light especially because it involved the murder of a foreigner. “The perception among the public was that the trial was a sham,” said lawyer Fahri Azzat. “The public knew the two policemen would be acquitted on appeal and they were proved correct today. Even at the High Court stage the public was cynical about the way the prosecution conducted the case,” Fahri said. He questioned why material witnesses were not called to testify and documentary evidence not tendered in court. Fahri said the public’s suspicions were reinforced when political analyst Abdul Razak Baginda, charged with abetting the cops, was acquitted without his defence being called. He said that when the AG did not appeal that decision, it raised eyebrows. “Public funds were spent over the high-profile case and the public was left wondering over the way the prosecution conducted the case,” he said. Despite the Court of Appeal ruling that the failure of the prosecution to call Deputy Superintendent Musa Safri to the stand had weakened its case, the Attorney-General’s stand is still that Musa was of no relevance to it. Tan Sri Abdul Gani Patail (pic), in disagreeing with the ruling, said there was no need to call Musa, who was the aide-de-camp of Datuk Seri Najib Razak, to unfold the narrative of the prosecution’s case. “While respecting the Court of Appeal, the Attorney-General’s Chambers is dissatisfied with the decision. Non-direction or misdirection by the trial court is not the fault of the prosecution,” Gani said in a statement today. The Court of Appeal this morning allowed the appeal of the two former policemen, Azilah Hadri and Sirul Azhar Umar, who were convicted of murdering Mongolian Altantuya Shaariibuu. In their judgment, the three-man panel said the failure to call Musa hurt the prosecution’s case. In calling for an independent inquiry, Gobind added that the powers-that-be must always ensure that the public has full confidence in the AG’s Chambers. The DAP has called for an independent inquiry into the conduct of the prosecution in the trial of two former policemen charged with the murder of Mongolian Altantuya Shaariibuu. The call came after the Court of Appeal freed former chief inspector Azilah Hadri and former corporal Sirul Azhar Umar today, one of the grounds for acquittal being the failure of the prosecution to call DSP Musa Safri to the stand during the trial. Musa was the aide-de-camp to Datuk Seri Najib Razak who was then deputy prime minister and defence minister. DAP national legal head Gobind Singh Deo (pic) said the Attorney-General and his team ought to have known that Musa was an important witness. “They have, one would assume, vast experience in handling cases like these and they know for a fact that they would run a serious risk of having their case thrown out for failure to call important witnesses. “So why did they choose to take the risk, which has now come to serve as one of the reasons for the collapse of their case,” said Gobind. He added that this gave rise to questions whether there had been proper investigations and a proper presentation of evidence in court. Counsel Datuk Hazman Ahmad was all choked up after seeing his client, Azilah Hadri, acquitted of the murder of Altantuya Shaariibuu today. Taking a minute to let the decision sink in, he told reporters that he was glad the Court of Appeal had concurred with the inconsistencies raised by the lawyers. Hazman, assisted by J Kuldeep Kumar, has represented Azilah from the trial to this appeal. “We are thankful that the Court of Appeal has heard our argument on our notice of alibi, the inconsistencies in the call logs, the police station diary and the police witnesses’ testimonies in alleging that my client was present at the crime scene,” he said. Prime Minister Datuk Seri Najib Razak and his former aide-de-camp DSP Musa Safri will be subpoenaed to testify in the civil suit filed by Altantuya Shaariibuu’s father, Setev. Counsel Karpal Singh (pic), who is holding a watching brief for Setev, said he will push for the suit to be heard soon. Setev filed a RM100-million civil suit against Abdul Razak Baginda, Azilah Hadri, Sirul Azhar Umar and the Malaysian government in June 2007. The suit had been put on hold pending the appeal filed by Azilah and Sirul. Both policemen were acquitted today while Razak, who was charged with abetting the two, was acquitted in October 2008. “We will now call the prime minister and Musa. Musa could not have acted on his own,” Karpal said in Shah Alam today. Karpal said despite Azilah’s and Sirul’s acquittal, Setev still has a recourse in the civil suit. “This will be a chance to establish guilt on the balance of probability,” he said. However, he said there was still a possibility the case would remain on hold pending an appeal by the Attorney-General’s Chambers following today’s ruling. UPDATE5 KUALA LUMPUR – In a shock decision, the former bodyguards of Prime Minister Najib Razak and his wife Rosmah Mansor were freed from sensational murder charges by Malaysia’s Court of Appeal. The ruling has aroused mixed response. While the murder trial has been heavily criticized for being biased, with the trial judge disallowing any questioning that probed into who were those who might have ordered the 2 bodyguards to kill Altantuya, many Malaysians had expected the higher court to order a retrial rather than acquit the duo. Both Azilah and Sirul had admitted killing Altantuya and in his police statement, Sirul had admitted doing so because he had been paid. According to Siva, it was now up to the Attorney-General’s chambers whether or not to pursue the case, and while he does not doubt that the Attorney General, Gani Patail, will do so, he says it is obvious there will be further delay. Both men were convicted in 2009 and their appeal allowed only this year, after the May 5 general election was held. Other risks cited by lawyers approached by Malaysia Chronicle for their views are that the killers might leave the country. But the greatest danger, the lawyers agreed, was that those who had ordered the killing could approach Azilah and Sirul again with fresh offers to change their testimony. “The Appeals Court had ample power to order a retrial which should have been done,” said Sivarasa. And the question remains in cyberspace, who killed Altantuya? What do ex-police commandos Azilah Hadri and Sirul Azhar Umar look like? Why was DSP Musa Safri not called to testify? These were the two common questions asked in cyberspace as netizens went on a frenzy commenting on the acquital of the two policemen in the murder of Mongolian Altantuya Shaariibuu. The mood is also that following today’s decision, there are endless possibilities on what could have happened to Altantuya in the case which put Malaysia on the world map for the wrong reasons. Another, rayfire, commented, “Yes, Endless possibilities to cheat, murder and escape! Justice must and will be served by the Almighty”. Others are wondering if the public will ever know what Azilah and Sirul look like. “They had their faces covered from Day 1, when they were taken in and out of court,” said MrM. This followed the court’s unanimous decision to allow the duo’s appeal in the sensational case. However, the prosecution has the opportunity to appeal with the Federal Court – the country’s highest court. While justice Md Apandi Ali led the three-member bench, justice Tengku Maimun Tuan Mat read out the judgment, which ruled there were serious misdirections by the High Court judge.The misdirections included the failure to call Prime Minister Najib Abdul Razak’s former aide de camp DSP Musa Safri and the failure to take into consideration the police station’s diary, which stated that Azilah was at Bukit Aman at the time of the incident. The other judges were justices Linton Albert and Tengku Maimon Tuan Mat. Setev Shaariibuu, the father of murdered Mongolian national Altantuya, is very upset with the Court of Appeal’s aquittal of the two ex-policemen charged with her murder in October 2006. It is learnt that Setev had expected the verdict and now feels he must take the case to a higher level, to get justice for his murdered daughter. His immediate response was relayed to Malaysiakini via his Mongolian lawyer Munkhsaruul Mijiddorj. Munkhsaruul said Setev planned to seek the assistance of the Mongolian government in the matter. “He will make a statement after getting an official letter from the Malaysian court or from his Malaysian lawyer Karpal Singh,” she said. “He is also awaiting further advice from Karpal, who is holding a watching brief in the case, on how to proceed,” she added. Fellow LFL lawyer and PKR leader Latheefa Koya raised the question of who then, killed, Altantuya? “So the question now is, who actually killed Altantuya? If they [the two former policemen] did not do it, then who did? “We cannot help but wonder what really is going on. The matter is shocking, we would like to know who killed Altantuya,” she said. The same question was also raised by Suaram secretariat member Cynthia Gabriel. “This shocking verdict throws open the murder of Altantuya into scrutiny. So who killed her? “How were the C4 explosives obtained? It is not like you can get C4 at 7-11 stores,” she said. “The verdict this morning calls for nothing short of full and fresh investigations into Altantuya’s death . This entry was posted in Uncategorized and tagged altantuya: killers set free, court of appeal, Special Action Unit officers Chief Inspector Azilah Hadri and Corporal Sirul Azhar Umar. Bookmark the permalink. 8 Responses to ALTANTUYA: Killers to hang by the neck until they’re dead!